ImmuneBiotech discovers and develops novel probiotics for therapeutic effect based on lactic acid bacteria and symbiotic formulations targeting gut microbiota and the immune system. We deliver transformational solutions to modulate the microbiome, heal leaky gut and reduce inflammation to prevent and treat autoimmune and other chronic inflammatory conditions. ImmuneBiotech has a strong scientific foundation, based on more than 15 years of research in immunology, inflammation, microbiology, gut-function, microbiome and biotechnology and we closely collaborate with physicians to develop super-consortia of lactobacilli strains for specific conditions. There is growing evidence on the importance of the gut microbiota in several challenging conditions, now translating to a new microbiome modulating products, sometime called pharmabiotics or immunobiotics. ImmuneBiotech is one of the forerunners in this field. We have a platform consisting of a library of unique strains of probiotic lactobacilli and also a screening and selection platform to select for strains with optimal immunomodulatory functions and the know-how to design novel therapeutic bacterial combinations for use in specific conditions. Our team is driven by innovative spirit combined with solid science, and a passion for developing scientifically proven super-consortia of lactobacilli strains for therapeutic effect. Our vision is to achieve international recognition for excellence of research in the microbiome community, and to be at the forefront in generating and using new knowledge for creating efficient products with a true impact on people’s health. 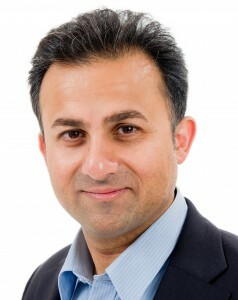 Shahram holds a Ph.D. degree from Lund University in Medical Inflammation Research. He is a skillful immunologists with many years of research expertise on gastrointestinal complications in autoimmune and chronic inflammatory diseases. Focusing on Brain-Gut axis he has pioneered research in multiple sclerosis (MS: brain inflammation) by targeting the gut using combination of probiotic bacteria. Shahram has collected new probiotic bacteria from innovative biological sources and developed the proprietary lactobacilli library and has solid know-how in the scientific selection methods (in vitro & in vivo) and combination of strains to achieve optimal therapeutic potential. He has designed ImmuneBiotech’s drug candidates by careful and multiple selection methods to identify potential strains and formulations for the optimal therapeutic management of the diseases. Mehrnaz holds a Ph.D. degree in Immunology from Lund University. 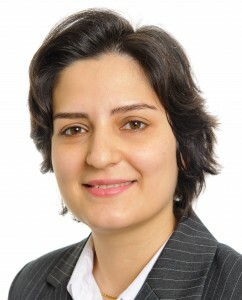 She is an expert in the field of biotechnology and probiotic research. She has patented several strains of lactobacilli and developed a novel vaccination against Salmonella infection. Mehrnaz has contributed with her excellent scientific skills and specific know-how to the development of the ImmuneBiotech’s proprietary lactobacilli library. 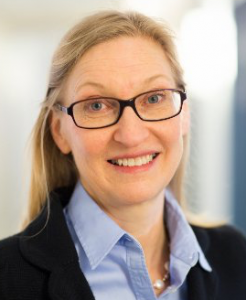 Karin has a Ph.D. in Biotechnology, Lund University and a Diploma in Marketing management, EFL, School of Economics and Management, Lund University. She has twenty years experience in the Pharma and Life-Science industry and more than ten years experience in Business Development, working in both small and large organization including Novo Nordisk A/S, (now Novozymes), Bioglan AB and Alligator Bioscience AB. Karin is a co-founder and co-owner of the consultancy company Vetenskaps Fabriken AB. Tobias earned his medical degree from the Umeå University. He is a consultant in General Surgery and a major expert in medical examination and diagnosis of gastrointestinal disorders. He has experience of planning, management, and conducting of clinical research trials with industrial collaborator. Tobias is the founder and CEO of Toutatis AB which offer private medical care and occupational health assessments in Sweden. 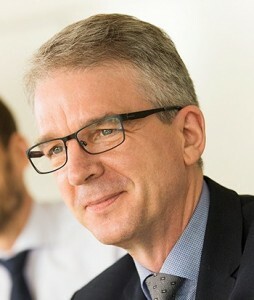 He is also the Chairman and surgeon at the Ellenbogen Medical Center in Malmö. Greg brings a strong track record from his positions in the life science industry as an executive decision maker, company founder, and commercial lawyer. He was CEO of DuoCort, chair of Neurovive Pharmaceutical AB, co-founded Laccure, and is a Partner at P.U.L.S.. He is the chair of Monocl AB, Xintela AB, SAGA Diagnostics and director of Business Research Life Sciences Ltd (United Kingdom). ImmuneBiotech works closely with physicians that are experts in the fields of infectious diseases, gastroenterology and autoimmunity.